Bijou Lovely: the big bowl. Just wanted to share a little story about my family with you today. 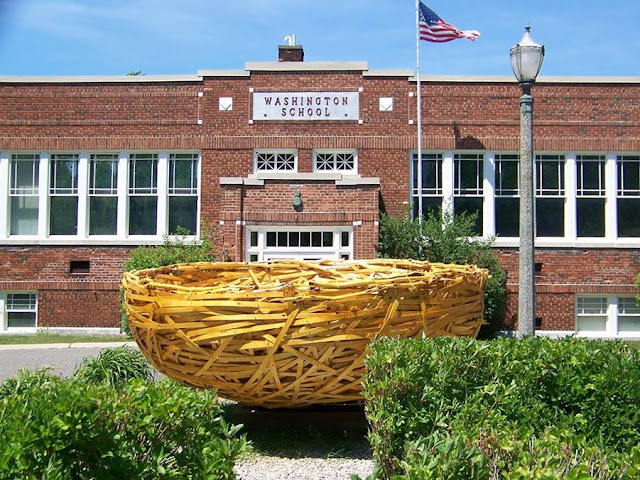 My cousin Brock Rumohr, an amazing ceramist, sculptor, and teacher, was asked to develop and implement a community collaborative sculpture event to commemorate the Munising Woodenware Factory, in Munising, MI, which is where my dad's family is from. The factory was where timber from the area was transformed into bowls, rolling pins, and clothespins, among other things by local artisans. If you've read the little blurb on the left about why this blog is called Bijou Lovely, you know that this blog was named after my great grandmother. 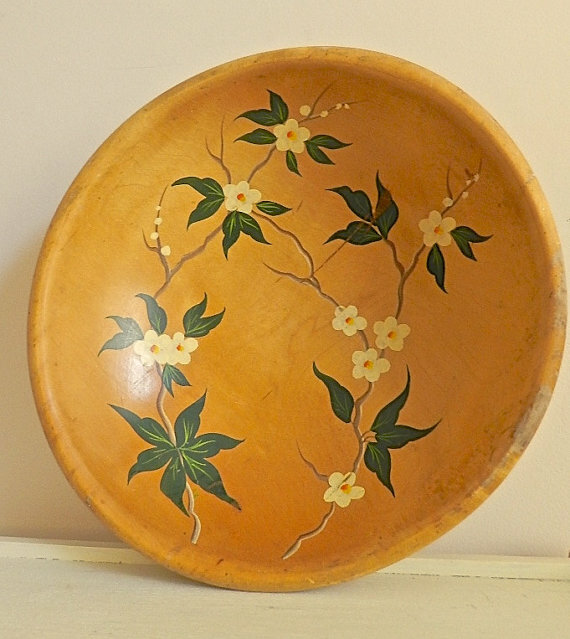 She was a talented artist who worked at the Munising Woodenware Factory in Munising, MI where she painted wooden bowls with flowers, ivy leaves, fruit, and other designs (the bowl shown above is one of hers, I just found it while writing this post and immediately bought it!). My grandmother also worked at the factory for a while, making wooden clothespins. Obviously, this was the perfect project for my cousin Brock, since the area and the factory have such deep ties to our family. He finished his "The Big Bowl" sculpture over the 4th of July weekend with the help of the public and some other family members. I'm biased of course, but I think it's pretty awesome! Here's a little video documenting the process. If you ever happen to find yourself in Munising, stop by the Alger County Heritage Center and check it out. I hope to be able to visit the sculpture myself very soon! What a wonderful project for your cousin, and I love that you found that bowl painted by your grandmother. What an awesome piece of family history to have. It's fantastic! What a lovely heritage you have! How awesome that writing this post brought you to own some of your grandma's work! I'm glad for you, Holly! The bowl is amazing! It's awesome to think about your great grandmother, and all of the artists she's inspired in your family. Wow! That sculpture is beautiful. What amazing family heritage you have, and it is awesome that you were able to purchase a piece by your great-grandmother. My late uncle was a watercolorist, and I just recently got a few of his prints ready to hang again, and I am so happy to be able to share them with my family. Pieces with history are always the most special!